If the street style pictures from New York and London Fashion Weeks have taught us one thing, it's that pastels are the standout trend of 2018. On the catwalk, they were worn in weird combinations, such as at Céline, where lemon, lilac, purple and beige were mixed together. If the sheer volume of lilac and yellow in Zara and more right now scares you, then fear not because it is possible to take a subtle approach to this trend. Keep scrolling to see how to wear pastels the 2018 way, even if you think they wouldn't suit you. 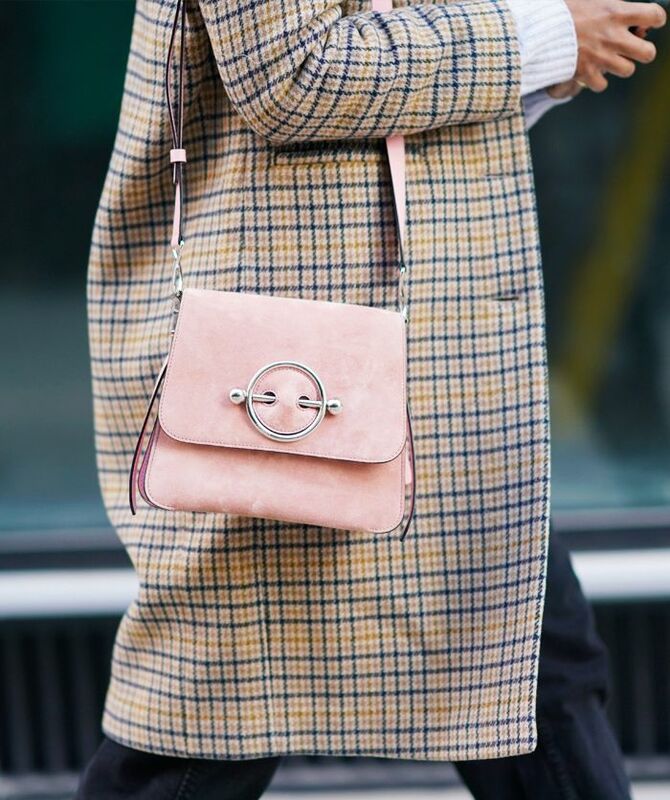 If you're intimidated by head-to-toe pastels or think that lilacs and lemons wash out your complexion, then opt for a pastel coloured handbag instead. One of the coolest ways to wear pastels is to stick to one colour from head to toe, even down to the shoes. Black can be a little too severe when paired with these sugary colours, but white is softer, so it's perfect for accessories. For those unafraid of bolder styling choices, then make like the street style crowd and mix a number of pastel colours together.